WordCamp Europe took place in Paris, France from June 15-17, 2017. The schedule included a Contributor Day (details below) and the two-day main event. All conference days were held at Les Docks de Paris, one of the city’s largest meeting and event centers. It was conveniently located at the last stop of the Metro, just outside the City Center. 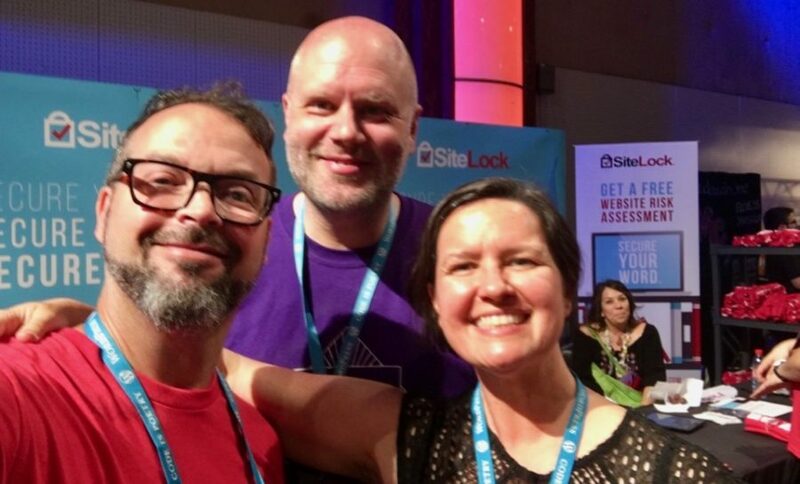 As global supporters and members of the WordPress community, SiteLock attends a new WordCamp nearly each week. Each event is unique, and WordCamp Europe was no different. 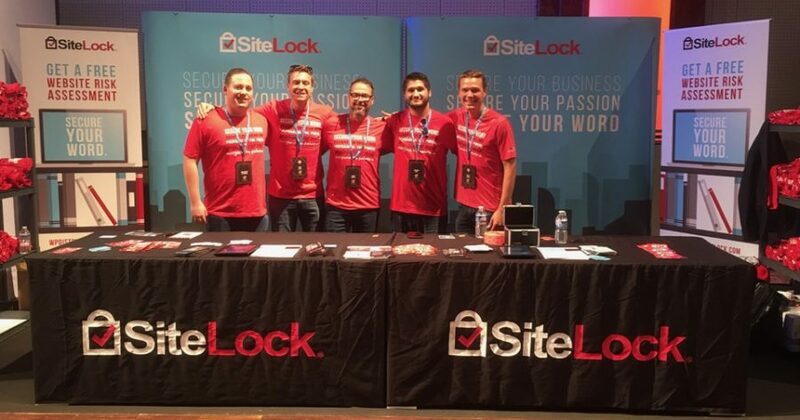 At the event, we reserved a large table to house all of our SiteLock swag, perform free website risk assessments, and manage the SiteLock raffle. Luckily, we anticipated the arrival of 1,900 attendees, so we came well prepared with custom SiteLock webcam covers, RFID passport protectors, and over 1,000 T-shirts with our WordPress slogan, “Secure Your Word,” written in five different languages on the front. For raffle prizes, we gave away an Apple iPad Pro and an Apple Watch! However, it wasn’t just our swag and raffle that made WordCamp Europe memorable – we also announced the private beta of our newest product, SMART®Database at the event! SMART®Database (SMART/DB™) is designed to automatically find and remove known malware from WordPress databases. As sponsors, we also want to give a shout out to Andrea Middleton, Dot Organizer, and manager of the WordCamp program, for stopping by our booth to give us a genuine thank you for sponsoring. It was so thoughtful, and we appreciated being recognized in a personal way. She’s also fun to be around! Moving on to the event itself, we’ll start by talking about Contributor Day which included a day of workshops and talks for those who want to contribute their time and skills to the WordPress software project. 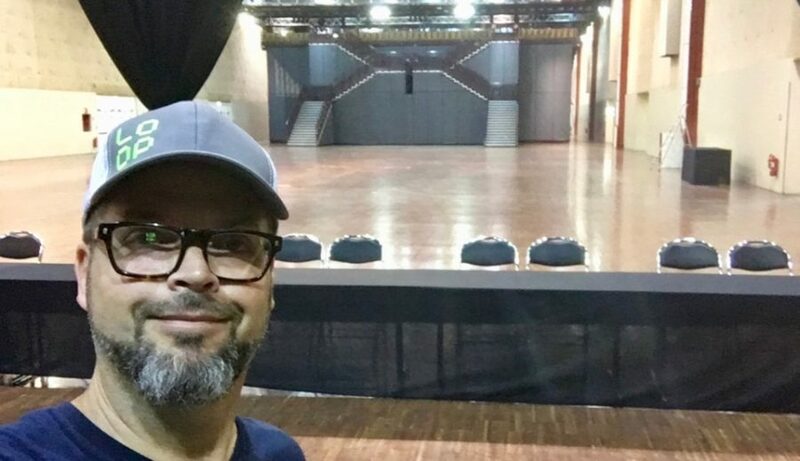 This event had a whopping 473 attendees who made contributions in a variety of areas, including the core software, design, polyglots, themes, plugins, marketing and much more. 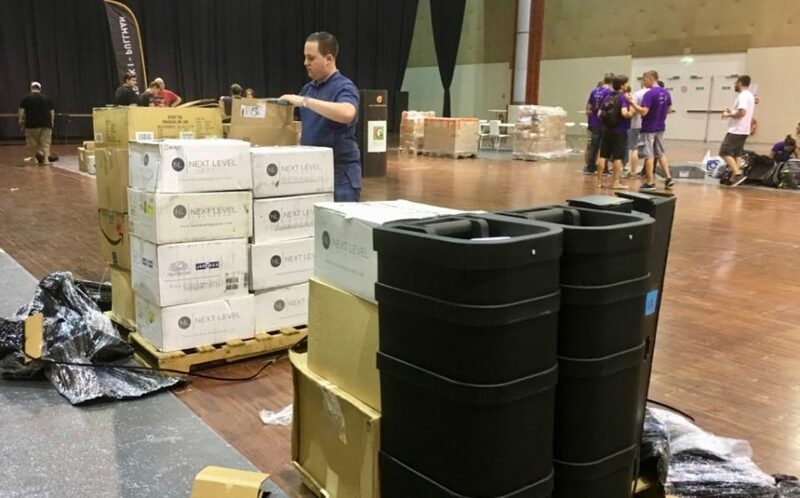 As a side note – while we would have loved to participate in Contributor Day, the SiteLock team had to fulfill its duty of unpacking our boxes and setting up our booth. Nonetheless, we heard it was an awesome day! As for the sessions, we were so busy talking with attendees about website security, we didn’t have the opportunity to attend any individual sessions and don’t have too many details to share. What we can say is, when attendees described the different talks and sessions, it was clear the speaker wranglers on the WordCamp Europe organizing team did an excellent job selecting interesting topics. While we couldn’t attend many sessions, there was one talk we knew we couldn’t miss, the Q&A session between Om Malik (founder of GigaOM) and Matt Mullenweg (founder of WordPress). There were also questions from the crowd, which Matt fielded with grace and transparency. Many of the answers circled around the importance of the open (or independent) web and how WordPress might continue to lead the charge with this initiative. While we attended WordCamp Europe on “business,” there is always something new and insightful we learn from WordCamps. For one, WordCamps are not traditional trade shows. Although they continue to grow in size and the community is maturing, camps are meant to be a place where you make real friendships and personal connections. That’s exactly what happened for everyone on our team. We made new friends, forged deeper connections with existing ones, and had an excellent time in Paris. Last but not least, the organizers, volunteers, speakers and fellow sponsors need to be recognized. 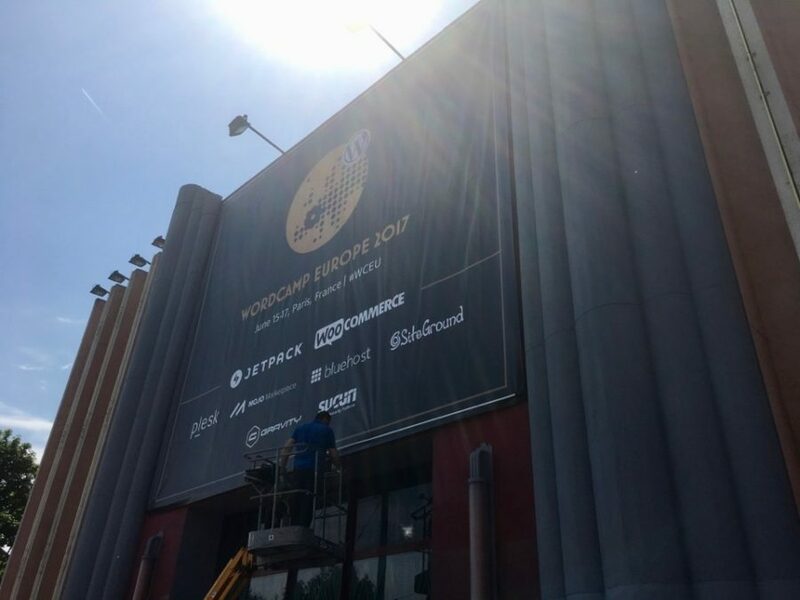 As sponsors, we couldn’t have had a smoother experience from beginning to end at WordCamp Europe 2017! And with that, Au Revoir until next time! For more recaps at our next WordCamp, follow us on Twitter at @SiteLock.